Edgar Clyde Evans, 87 year old Army Veteran of Bladenboro passed away Tuesday, November 13, 2018. He was preceded in death by his parents: J. Clyde and Fannie K. Evans, beloved wife: Elizabeth "Lib" Evans, one son: Richard Evans, two brothers: Charles and Riley Evans and two sisters: Betsy Dorton and Margaret Pigford. Edgar is survived by two sons: Stephen Evans and wife Tommie Jean "T.J." of Semora Beach; Paul Evans and wife Julie of White Lake; one daughter: Helen Bunch of Ocean Isle; three brothers: Alva Evans and wife Kate of Mt. Gilead, NC; Johnnie Evans of Efland and Jasper Evans and wife Sue of Mooresville, NC; two sisters: Doris Danella of Wilmington and Nancy Watson and husband Bob of Fuquay Varina; four grandchildren: Dee, Jake, Katie and Molly Evans, and a special friend: Betty Bowen. Edgar had many accomplishments in his life. He was a Korean War Veteran who received the Korean Service Medal, United Nations Service Medal, and Combat Infantry Badge. He was a recipient of the Purple Heart, National Defense Service Medal, Army Good Conduct Medal, and the Commendation Medal with Metal Pendant. 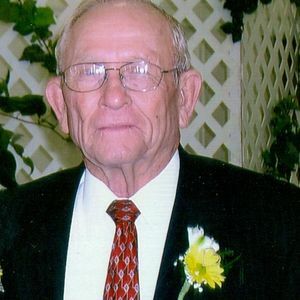 Edgar was very involved with his community and was referred to by Bladen Journal as a "Builder of Bladen." He served as Town of Bladenboro Mayor from 1974-1993, he served as a Charter Member of the Bladenboro Lion's Club and received the Jack Stickley Fellow Award. Edgar was the Chairman of the Bladen County Committee of 100 and the Bladenboro Rotary Club, in which he received the Paul Harris Fellow Award. He received the Order of the Long Leaf Pine Award from the State of North Carolina. Edgar served as a Bladenboro Volunteer Fireman, Bladenboro Medical Center Board Member, and a retired member of the Bladenboro Rescue Squad. He owned and operated J&E Texaco and Recapping in Bladenboro for over 40 years. Edgar was an active member of Lennon's Crossroads Baptist Church where he served as deacon, trustee, pulpit committee, and the choir member. The family will receive friends from 10 am – 12 pm on Thursday, November 15th at Lennons Crossroads Church, 13804 Haynes Lennon Highway, Evergreen, NC followed by a Celebration of Life Service at 12 pm with Dr. Fred Senter officiating. In lieu of flowers, memorials may be sent to the Edgar Evans Memorial Fund c/o Lennons Crossroads Baptist Church, P.O. Box 867, Bladenboro, NC.